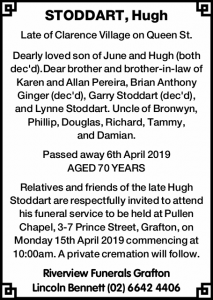 We are the Clarence Valley's only family owned and operated funeral service and cremation providers offering large chapels, local crematorium and a professional service. Saint Luke's Chapel (formerly Saint Luke's Church) is one of the Valleys oldest buildings celebrating it's 130th year just recently. 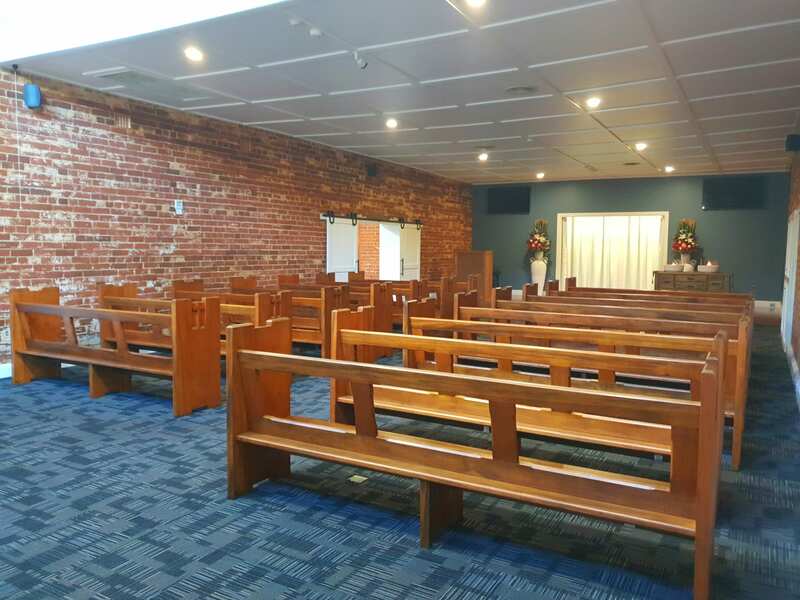 The now restored 'Pullen Centre' offers a local non-denominational Chapel for up to 160+ attendees, fully air conditioned, off street parking, and function room for wakes and refreshments. When making funeral arrangements or pre-arrangements it is our privilege to listen and gather ideas that may be fitting to your needs. We offer pre-paid funeral fund and can assist in the application process. Funeral Webcasting is a video/audio live stream that allows family members who are unable to attend a funeral service to join through a private and secure connection so as to still be a part of the service. 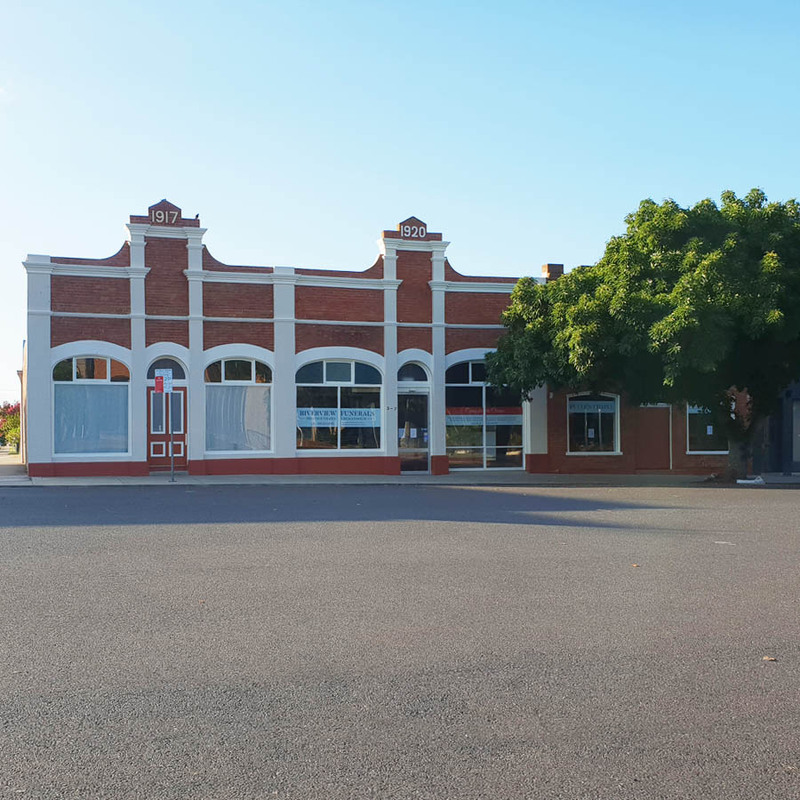 We are the Clarence Valley’s only family owned and operated funeral home and are well known for our professional service and care throughout the Clarence Valley & surrounding districts. With each family we encounter it is our intention to do the very best we can in all we do. 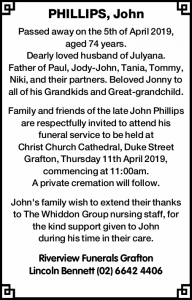 It is important for families to feel as peaceful as possible during the funeral process so it is our intention to provide a peaceful environment for families to gather and feel safe to share their family stories to create together a service that honours the life once lived. 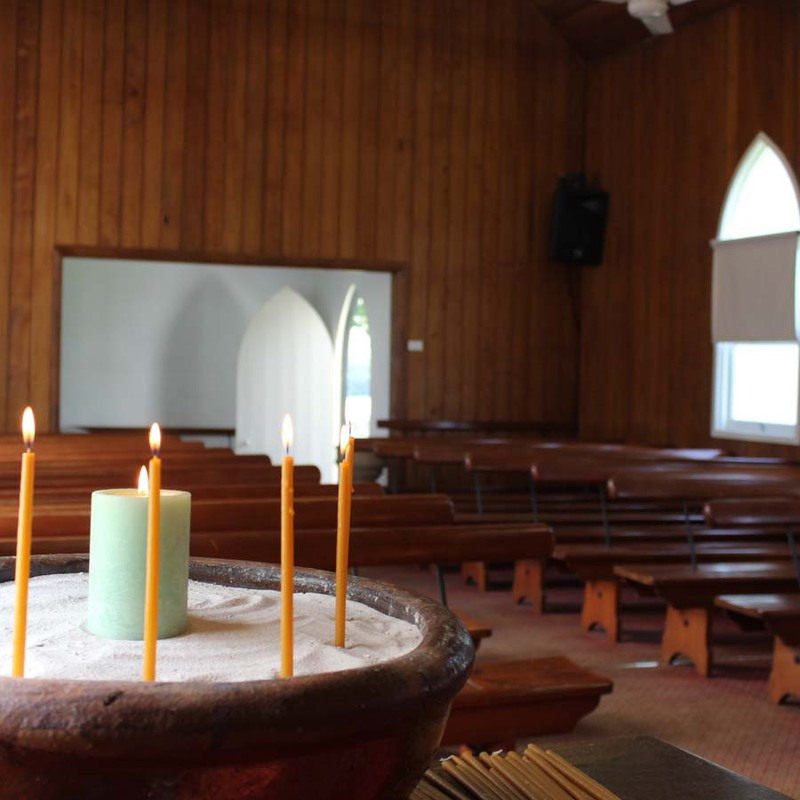 We currently offer 3 offices and 3 Chapels in the Clarence Valley. 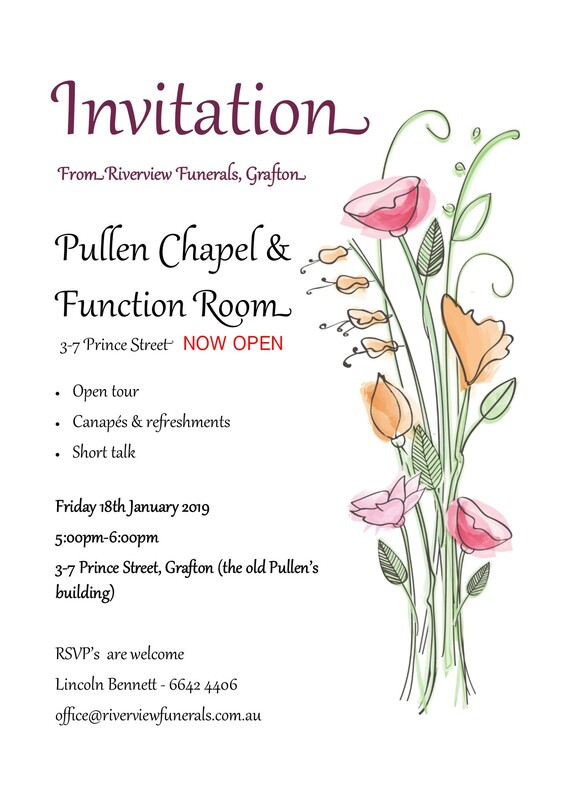 Since 2014 we offer local cremation services after the development of the Riverview Crematorium, one the 5 facilities that we offer situated upon our Mighty Clarence River. Our Team have a close connection to the Clarence Valley being locals to our beautiful NSW North Coast. We understand the needs of our community from a local perspective and understand the importance of involvement and contribution to the community. Riverview Funerals are committed to sponsoring local organisations ranging from health and wellbeing organisations, clubs and local charities.